Plans to set up dealerships in Hyderabad and Bengaluru; Chennai could get one too! Apart from the 150NK, AMW Motorcycles plans to launch CFMoto’s entire lineup here. Will introduce ATVs and side-by-side utility vehicles as well; will be sold under one roof. 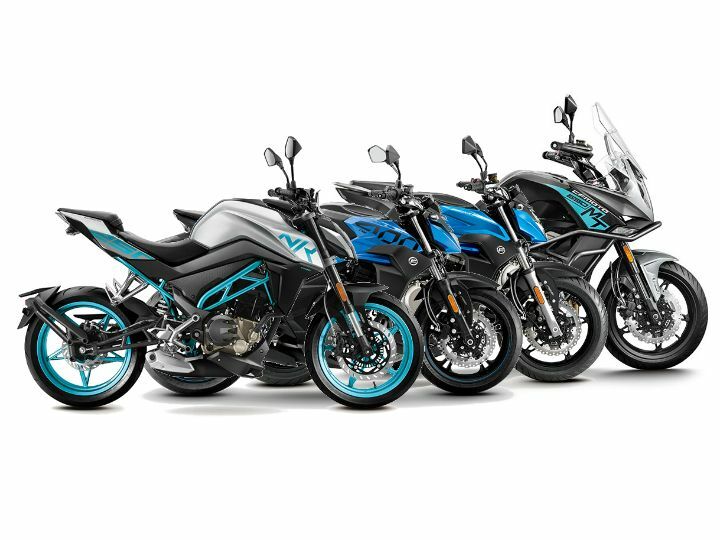 First bikes set to arrive in mid-2019; will be sold via the CKD route. With CFMoto’s bikes such as the 250NK, 650NK and 650MT being spotted testing in and around Hyderabad, there has been a lot of speculation regarding the Chinese brand entering India. Now, we have learnt that CFMoto has partnered with Bengaluru-based AMW Motorcycles to set up a retail and after-sales network in the country. We spoke to an AMW representative to better understand CFMoto’s plans for India. Also read: Who Is CFMoto Exactly? From what we gather, AMW Motorcycles is planning to introduce CFMoto’s entire product portfolio in India. This includes motorcycles like the 250NK, 400NK, 650NK, 650MT, ATVs and side-by-side utility vehicles. Interestingly, the company will not be bringing the 150NK motorcycle to India for now. These products will come to India via the CKD route and will be assembled at AMW Motorcycle’s facility in Hyderabad. The focus will be on localising as many components as possible. This should help keep costs in check. The company official has promised that CFMoto’s products will be competitively priced. The bikes are currently undergoing homologation and plans are on to launch the company’s first offering by mid-2019. While the official has refused to comment on which models will be launched first, we bet it could be 250NK, 650NK and 650MT as they are the ones that have been spotted testing so far. We have also been told that CFMoto’s bikes, ATVs and utility vehicles will be sold under one roof. While AMW Motorcycles are scouting for dealership locations, it has confirmed that Hyderabad and Bengaluru will be the first to receive one. There’s a strong possibility that the third dealership could come up in Chennai. The company also plans to launch an app with which customers can search for CFMoto dealerships and service centres. CFMoto Global already has such an app in place for both Android and iPhone users. While the bikes that are set to be launched here are already Euro IV-compliant, we have been informed that work is in progress to make future bikes comply with BSVI emission norms. These bikes should be ready and go on sale by March next year. Stay tuned for more information. Share your experiences with 650MT?